Home » Blog » A Placement Year; Is It Really Worth Your Time? A work placement is like trying on new shoes in the shop: you need to walk up and down first to see if they’re comfy! It’s a little test run to determine whether you actually like events and if you’re up to the job. 8 months at Merlin Events has flown by! It makes me sad to think that I only have 3 months left of my placement as I know just how quickly it will go. It’s safe to say the year so far has been an amazing experience and it has also had a huge impact on how I view the events industry. For anyone out there who thinks that the events industry is all “champagne and glamour”, you need to seriously reconsider this evaluation (although of course that does happen from time to time). If anyone is wondering whether a placement year is worth it, the answer is 100% yes! The amount you learn in a single year is invaluable and I know that this will enable me to go back to Bournemouth University and achieve so much more than I would have been able to without it. Working for an events company and putting your theoretical knowledge of events to the test is scary and you are going to make mistakes, but isn’t that the point?! If you don’t make mistakes then you won’t learn from them. There is no taking it slow with Merlin Events; the best way to learn is to get stuck right in straight away. When starting at Merlin Events, I have to admit my induction period was full on and the information thrown my way did seem a little overwhelming at times. However, with the events industry being so fast paced, it prepared me for what was to come. During the handover period, it was extremely important to take in as much knowledge as possible as I knew that in a couple of weeks I would be by myself managing my position without the guidance of the previous placement student. The thought of being on your own may seem frightening but as long as you have paid attention, you should know your role well enough and through time you will adapt the position to how you work and the way you work will adapt to the position. Placements help you to realise which area of the events industry you prefer and enjoy, whether it’s sales, operations or marketing. Of course you learn heaps of new skills, as well as getting the chance to put into practise all the skills you had forgotten you had. Working in the Merlin Events team has shown me how well a dynamic team structure can operate, where working together means we achieve so much more. Sales is where you get to sell the dream! Imaginative and passionate language is what you need to do this, and yes, you will realise that you probably have a lot of bad habits when it comes to speaking on the phone! Let’s just say I now think twice before saying “obviously” and am still trying to reduce the amount of “ummms” I use! 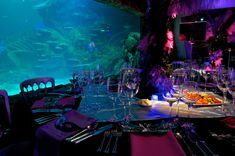 It sounds easy, doesn’t it, selling a unique venue like Madame Tussauds or the SEA LIFE London Aquarium?! But you would be surprised at how much your language and mannerisms on the phone can affect the outcome of confirming an event! Learning sales techniques here at Merlin has been extremely valuable and beneficial to me for my future career in the events industry. Although selling the dream is an important factor, being realistic is a fact you have to consider when it comes to operations! 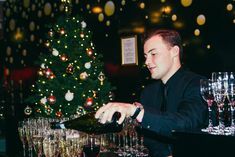 Time management and organisational skills play a big part in this role and if ops get it wrong it could mean an event with no drinks or food, which let’s be honest, all guests are looking for at a party! Observing the process an enquiry goes through from sales to operations is extremely interesting as you get to be involved in all aspects from looking at the client’s budget to contacting suppliers on specific requests from the client. Being the first point of contact when receiving an enquiry and then seeing the end result of an event is enthralling. Watching the amount of detail and work that goes into one event is fascinating, particularly considering it started off with a 15 minute conversation over the phone. When being at Merlin I have definitely seen my share of extravagant parties and dinners as well as the smaller networking events. All events are different. The entertainment at our venues can range from contortionists to your classic tribute band and as part of my development I have been entrusted with the management of some entertainment acts during events. I’m happy to say I haven’t encountered any divas as of yet! As our turn around period for setting up an event can be quite tight, ensuring the acts are ready for their sets can be quite difficult, especially if they are normally used to a long sound check. This is where time management and delegation comes into play as it is imperative the acts are ready for their performances. It would be hard for the client not to notice if the lead singer’s microphone doesn’t work! There is constantly room for development in the events department and the team are always willing to give you advice or help with your learning. Even though your degree is an important part in your employability profile, experience is a key indicator to all companies that you are able to apply your theory practically! I advise anyone who is currently debating whether a work placement is worth it to take the initiative to find one as it will be one of the most beneficial experiences of your career. Not only will this year aid my future career but I can honestly say I have thoroughly enjoyed my time here at Merlin and the people I have met have had such a big influence on my life that there is no way I could ever regret my decision for a placement.